주문형 게임 버전 지원 언어: 영어. It’s called The Run. An illicit, high-stakes race across the country. The only way to get your life back is to be the first from San Francisco to New York. No speed limits. No rules. No allies. All you have are your driving skills and sheer determination as you battle hundreds of the world’s most notorious drivers on the country’s most dangerous roads. 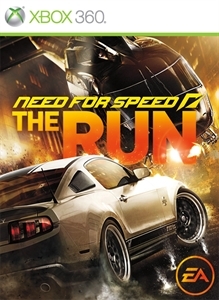 In Need for Speed The Run, you’ll weave through dense urban centers, rocket down icy mountain passes and navigate narrow canyons at breakneck speeds, all the while evading a relentless police force prepared – and willing – to use lethal force to take you down.